Looks like the real deal. Made of foam-filled vinyl. 4 feet long. Excellent color and detailing. 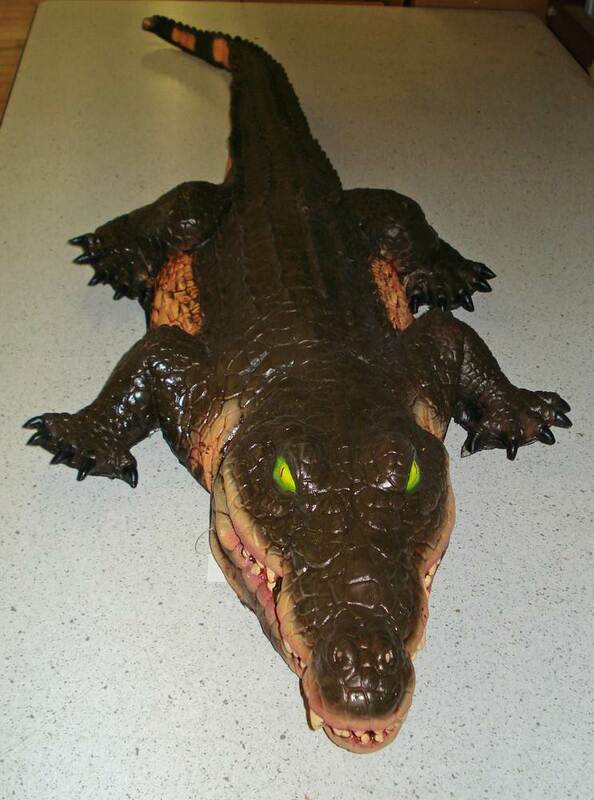 This gator looks like the real thing in person & will be perfect for both our swamp voodoo scene & the witch shack. Worth every penny! 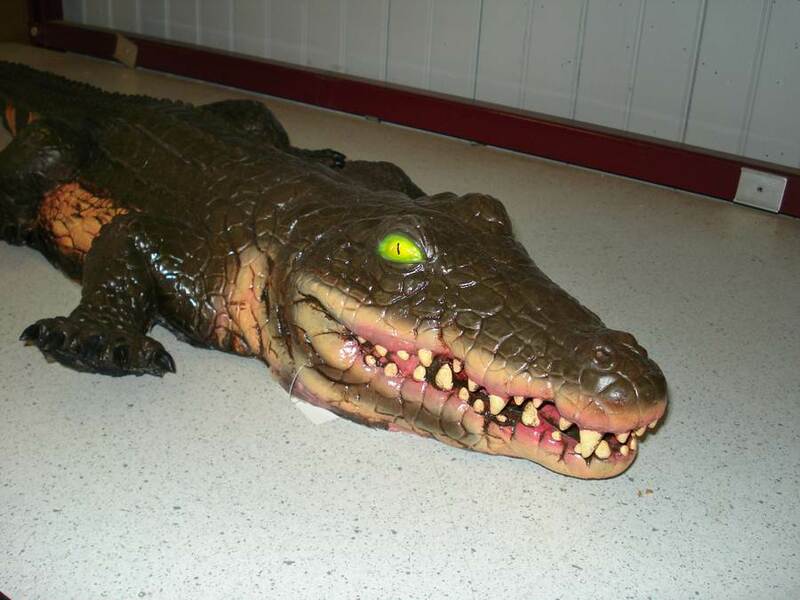 I like the gator prop, but he is not a solid body, his head is a solid, foam filled head, but the body is not, the body is just a shell. The paint detail on this prop is outstanding. 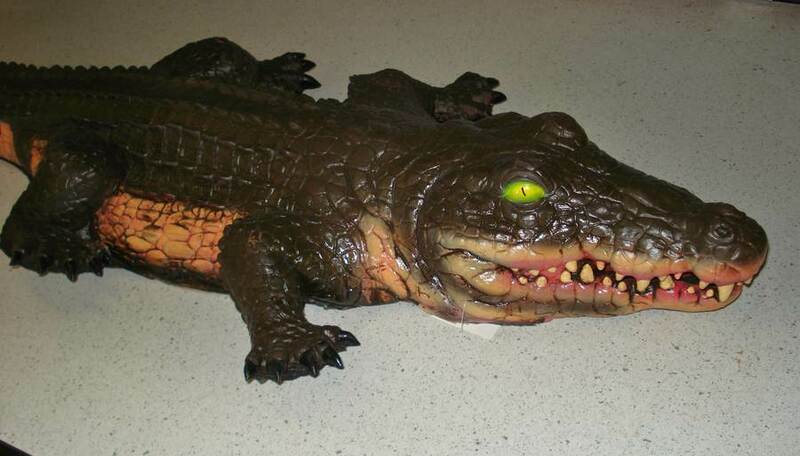 He truly looks menacing...if you can get by his tiny 4' long profile. Because he is hollow, he can possibly be placed on an armature for a pneumatic setup. The mouth can be opened a bit to stick in a femur bone or finger props. The feet, however, do not contact the ground. not entirely foam filled...is hollow still "handsome"